I think that sometimes things get placed in your path to challenge you, enlighten you, fulfill you, or just to remind you that you have it good. As I peeled back my eyelids on Saturday morning and saw the large, red block letters screaming 5:07am at me, I had a moment. 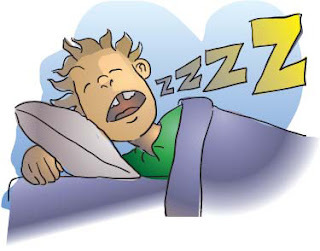 Only a few weeks ago if a child woke up at an unhealthy hour of the morning I could tell them to get back in bed, go get themselves a piece of fruit or cereal if they were hungry, or go turn on the television downstairs and then I could roll back in my nice and snugly bed for a few more hours of sleep! Those days feel light years away! I can no longer roll over and ignore the noise. I have to get up, change a diaper, rock a baby, or perhaps be up for the day! I have always been an early riser, but this is getting a bit on the ridiculous side! Yes, I know I could let him fuss and cry until he puts himself back to sleep, but he shares a room with Tyce and so he would then wake Tyce up and I would have two that were up. This would lead to more noise which would wake Lola up not far behind and then soon Jackson would be yelling from his bed for everyone to be quiet! Yelling would now go back and forth between the kids all the while with the baby probably now screaming. Two of three of them would rush our bedroom looking for an adult to whom they could tattle. They can all find me when I hide under my covers and they are too old to fall for the "I'm still asleep" routine so it just wouldn't work! These early morning wake-ups must be a reminder of how good and easy I had it every morning. I didn't have to get up and attend to every need of the children at the second that they demanded it. Yes, I did go through all of that when they were younger, but it is amazing how quickly we forget and set our expectations even higher!